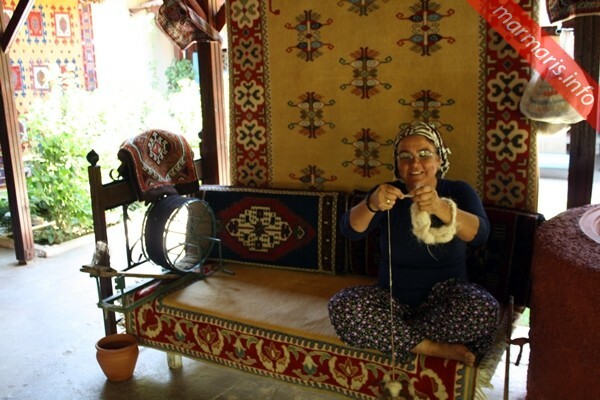 The local Carpet School Marmaris offers you an opportunity to have an insight into the wonderful carpet weaving tradition of Turkey. You can obtain first hand information as to how Turkish carpets are made; see what materials and natural dyes are employed and how the skilful carpet weavers work in making the final product ready. You will be amazed to see how the silk is extracted from cocoons and one of the world’s most precious works of art gets its shape before you! 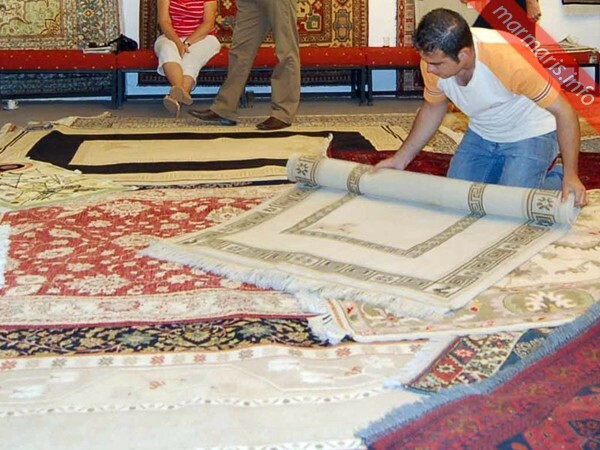 The Turkish carpets are renowned for their quality and durability. 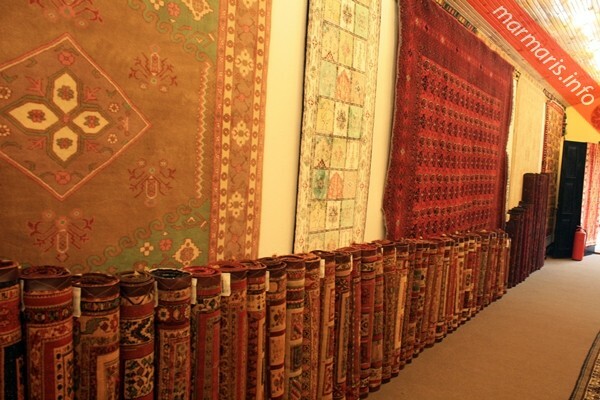 Carpet weaving in Turkey has a rich tradition dating back to 1000 BC. The Turgut Carpet School specialize in hand spun carpets; it also displays and sells carpets obtained from all parts of Turkey. 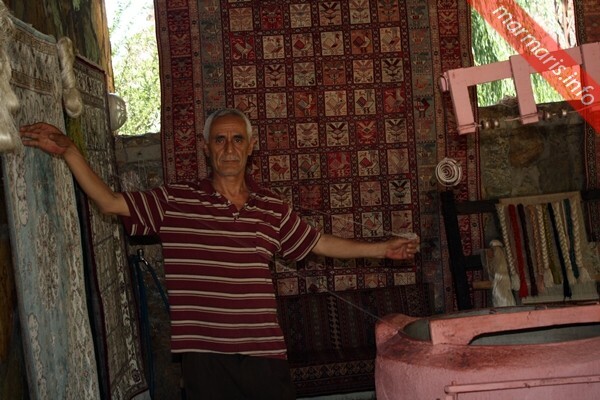 Kilims, which are produced in villages all over Turkey, are also available in Turgut. Each of these carpets is unique in themselves as they have a distinct symbol and a pattern of their own. These symbols and patterns are an indication of the area of their production and the reason why they were made! These beautiful and long-lasting carpets are indeed an investment for the future. 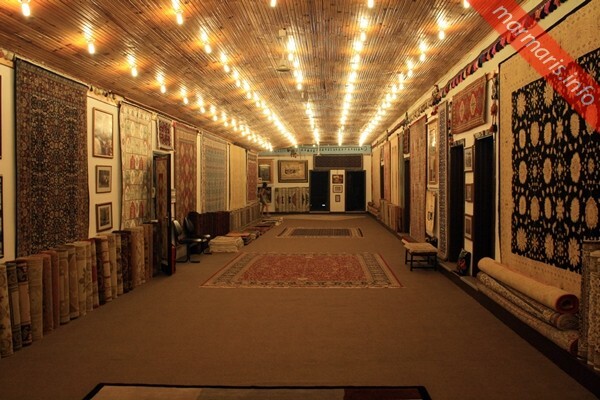 You can visit the Marmaris Carpet School association just for your interest to get close with the Turkish tradition of carpet weaving. There is absolutely no obligation to buy carpets here. However, if you need to buy one, this is one of the safest and easiest places in turkey to do so. You can just deposit an advance amount of your purchase and the association will arrange for the safe delivery of the carpets to your home. You can pay the remaining balance once your parcel reaches you safely!